I heard the debate around South Sudanese young people, crime and gangs on the news and didn't really tune in, thinking it was old news, and a fairly obvious political tactic. I didn't pay much attention, until my brother-in-law contacted me with some questions about the 'Sudanese gang problem'. I have been working and living with and studying Sudanese youth for over eight years and in this time, I have never encountered anything like the gangs of youths that are being talked about. 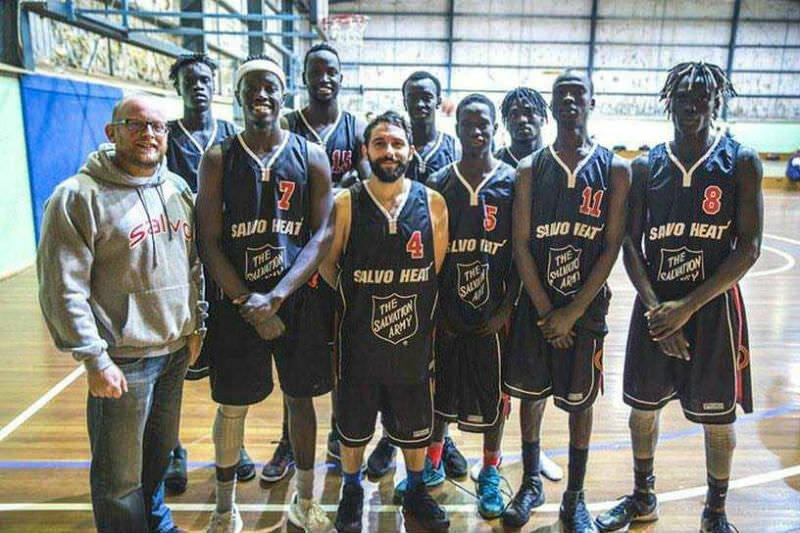 What I have seen is Sudanese young people be successful in academics and become lawyers and doctors; be hard workers and become tradies; be talented athletes and become professional basketballers, footy and soccer players. I have seen some young people have trouble with the law and need advocacy with the police and in the courts. To try and distill an entire culture, with various sub-cultures and traditional values — not to mention the various personalities of each individual — into a media soundbite about hordes of marauding African gangs, insults not only the Sudanese community, but every Australian. It insults our sense of a fair go, our diversity, and, on our good days, our intelligence. African youth crime and Sudanese youth acculturation in general is a tricky area to venture into due to the complexities around the issue. Unlike some of my good friends who advocate for Sudanese young people, I don't believe the issue should be merged with generalised young people and crime, or deny the reality that there is a correlation between Sudanese young people and their disproportionate participation in crime. Not because I disagree with the assertion that these young people are indeed Australian youth and that it becomes distracting when we judge a person's actions by the colour of their skin, or that the overwhelming amount of crime that is committed is not by people of African heritage. The reason I disagree with this approach is because if we insist on equality in this way, we are in fact denying justice to a highly marginalised group of young people. Equality is about making everything equal, which is in itself a good thing. However, there are times when justice is needed, because not everyone has the same background, opportunities, or lived history. Therefore, fairness sometimes requires more being done or given to a certain affected group, before equality can be attained. In this case, these Sudanese young people need justice to allow equality, which can then in turn give them the best opportunity to be successful in their adopted culture. "What is most surprising to me is not that there is crime committed by Sudanese youth, but that there isn't far more. This speaks to the resilience and remarkable adaptability of the South Sudanese community." Research is showing that the normal diagnostic tools for PTSD, in general, aren't effective on people who suffer extreme trauma, caused by extreme life events like war, starvation and forced migration. I remember hearing a story from a young Syrian refugee who was afraid of the sound of bullets. He spoke to his mum about this fear, and she told him that the sound of a bullet was a good thing, because if you get shot, you don't hear the bullet. This young person learned to cope with the trauma of bullets flying around him every day by making that which was terrifying a thing of comfort. One young Sudanese man once told me of a time he was at school in a refugee camp when it was raided by militia. His best friend was standing next to him near the toilets and as he went to speak to him, his friend was shot in the head. This young person had to keep living with the trauma of this experience. This doesn't go away just because you are given a chance to live in a country like Australia. One thing that I keep hearing throughout these reports is that there is a lack of assimilation into Australian culture. It seems many Australians feel like refugees should be saying thank you for letting them live here, not taking into account that it is pure chance that they themselves were born here, or that the trauma that many of these people experience is something that they have to deal with every day. What is needed is resources to fund groups that work with cultures that have been forcibly displaced — groups that advocate for not only Sudanese youth, but all young people from refugee and asylum seeker backgrounds — because it is these front-line organisations that have the expertise and experience to make a real impact on the lives of these young people. Rather then putting more money into policing a problem that is being overblown, the money should be put into creating protective factors for these young people by helping them in their academic and employment pursuits, creating access to support for past traumas and the stressors of living caught between two worlds and cultures. What is most surprising to me is not that there is crime committed by Sudanese youth, but that there isn't far more crime being committed, which speaks to the resilience and remarkable adaptability of the South Sudanese community. Troy Pittaway has been working in the human services field for the past 17 years and with South Sudanese youth in particular for the past eight years. He has completed a Masters in Human Rights Law, written a book on human rights and faith and is currently completing a PhD that explores the coping strategies of Sudanese young people. Recent articles by Troy Pittaway. It was interesting that the several hundred drunk and riotous youths on the Victorian Surf Coast who caused police to retreat to their vehicles before calling up reinforcements went un-remarked upon by our right-wing pollies. Why? Because they were all Caucasian? No, surely not. A splendid exposition Troy. Many thanks. It should be made compulsory reading for all Australians particularly when fear is the very goal of our political leaders led, sadly, by our Prime Minister and the strange Mr Dutton. The colours of the inter-laced Olympic rings were chosen to signify the union of the 5 continents. Whether intended or not as schoolkids in 1956 we interpreted Black= Africa, Yellow= Asia, but we had some differences over Blue, most of thought it should represent Australasia in the Pacific. What to do with Green (Europe?) & Red (The America? )? We did agree that the white background signified Peace. The Cold War was intense in 1956. USSR was the Villian of the Games. The blood in the pool after the USSR v Hungary waterpolo game symbolised the price to be paid if anyone tried to counter the Russian Bear. This human tendency use symbols to simplify complex socio-political issues has become imbedded in the evolution of the way political activists use the mass media. The threat of The Yellow Peril (in various guises) is a hardy perennial. It covers all Asians ( no matter their nationality). Now we have the Black Gangs (no matter their country of origin or their amorphous nature). The PM should make Troy Pittaway's article compulsory reading for his Cabinet colleagues over their summer break. Then they might learn to temper their utterances. Great article - could you send it to Malcolm Turnbull and Peter Dutton, as a response to their dreadful beating up of racial violence in Melbourne? I have sent it to my facebook network, but they aren't on it. This fear is being created by the Herald Sun and certain LNP politicians playing the race and law and order card. You hear this fear-mongering on commercial radio and television stations which caters to people who have blinkers on and don't see the bigger picture. There is a problem with some but not all African youth which can be applied to youth from other ethnic or racial backgrounds. Thanks for a well-nuanced article about a difficult , multi-facetted issue, Troy. There is no doubt that it has been blown up for political purposes. But it is the feeling of denial and cover-up that has been the source of that. Tucked away in your article is the real core "...or deny the reality that there is a correlation between Sudanese young people and their disproportionate participation in crime." This is not the answer but it has to be grasped as the starting point. Set in the full context that you analyse brilliantly, the Australia population will be highly sympathetic and supportive to your views, but not if they smell hypocracy, political correctness or denial of reality, and indeed disrespect to local victims of these (limited but nasty) crimes. "..not taking into account that it is pure chance that they themselves were born here.." Well said Troy! Turnbull, Dutton, Porter and others should note!! I have spoken to many in politics and no one sees this point when you talk about it. They believe they were the chosen ones.. Also, Australia, bring the refugees home and settle them. Clear the refugee from SE camps and settle them in Australia. Dear Troy, thank you for this different perspective. Your brother in law is not a racist. None of us are. We are however realistic. The violent crime associated with this group of youth ( of African descent ) is a frightening new reality and the wider Australian community will not put up with it or with the dialogue from politicians that says we should be tolerant towards it. How do we stop it ? How do we reason with a kid who is high on ice busying himself committing violent crimes ? The unfortunate reality is that unless you and others can intervene and change behavior, all of these kids will end up in jail. They will never find gainful employment and they will forever be ostracized. I don’t criticize a leader that steps in to protect its citizens from the ravages of the few. I do criticize the leadership that has failed to protect them in the first place. Crime is one thing, violent crime is a completely different animal and I will vote for no tolerance. Yet this does not make me a racist, it does make me a realist. Perceptions are wonderful things. A bit like statistics, they can be used to support whatever argument one favours. You say you have never encountered Sudanese youth gangs, Troy, but work only with those who are not in gangs but who are working hard to achieve in their new country in all fields. Such is admirable and something all Australians should encourage and which I believe the vast majority would so do. Australia's migration record suggests that we are a very outgoing, accommodating people, not the racially motivated English model of our first 100 years or so. The World Wars changed that for us and the Maori Wars changed it for New Zealand. However, there are Sudanese gangs who break the law and are a frightening threat to people, just as there are Anglo-Saxon bikie gangs, Middle Eastern criminal gangs, Chinese Triads and other immigrant criminals who are simply violent law breakers and have to be brought to justice for the protection of everyone else and of our society. It should not be our responsibility to accommodate them and put up with the disruption of law abiding lives. These gangsters should be summarily dealt with by the law including deportation. And, surprise, surprise , I do not live in Queensland, do not support either Dutton or Hanson who I believe may aid and abet (in ignorance) some immigrant youth criminal response in our society. The reason some Parliamentary ministers are promoting fear is that it suits their political agenda and chances of re-election on a law and order platform. This is divisive and against the sense of unity in the nation which they should be promoting. A positive approach is to address the causes and assist these young people to achieve their best potential. Excellent article. Thank you, Troy. Please keep up the good work of showing up the real issues and realistic opportunities. Turnbull, Dutton and other conservative politicians are playing to the extreme right wing of their party, the whole scenario is remarkably similar to the nonsense being sprouted by Trump and his supporters . In the 1950's and 60's (yes, I am of the 'old' school) 'Dagoes' (Italians) and other non English ethnic groups were targeted , then the Indochinese in the 1980's, so nothing is new. The whole thing is absolutely sickening and disgusting. Well done Troy, keep up the good work mate! Thank you sincerely for writing this opinion piece. I would love to see it published in the Courier Mail, where negative, anti foreigner view are rarely challenged, and community ignorance of former refugees , especially suntanned ones, is alive, and probably growing. Interesting viewpoint, because the author has never experienced it, it does not exist. Thank you Troy. A measured and considered response. Many people have suggested little is being done in education, policing and employment assistance to people of Sudanese background. You work in the field and would be aware of much of the support. I worked in a youth foundation. On the contrary,there are many programs in Melbourne alone that are about assisting inclusion, supporting young people, work training programs etc. Many schools with large cohorts of students of African heritage have community partnerships, special liaison staff, homework clubs, mentors, leadership programs, etc. Many government and private organisations are engaged with helping with employment issues. For example, NAB has an African inclusion program. More than 100 African Australians have participated; 90% found work in their chosen field. There is a tendency often to ignore, or fail to acknowledge, or simply not be aware of, what good is being done and the widespread goodwill in the community. I believe the random and vicious violence is the fear factor here. That's the point of difference to other incidents of violence. The attacks on shops, stores, random attacks in the street, home invasions, have destroyed lives. There is a class/geographic factor as well. The people of the outer west feel it strongly. Letter writers from Toorak and Camberwell in The Age asked, "what's the problem? Can't see it." If it is surprising to a participant in Sudanese youth community activity that more crime is not committed by the group, would we not be better off isolating these immigrants until their mental health has been assessed and we have inculcated values and behaviours consistent with our expectations? Seems silly to be putting young tigers in the deer compound. Amen, amen! Great article - glad you're sharing your experience. Sorry I missed this valuable article by an experienced person. For the record -Since the media statements broke out I have wanted to say, it's all so predicable, it's all been said before! Not about young Sudanese perhaps but about the first main group of scapegoats. No prizes for guessing who that would be. Several years ago in SA the media and some politicians were running with 'The Gang of 49 ' mythology. It seemed to give its proponents some security to add a (completely made up) number. An old trick in establishing and promoting fear against the 'other.' In this case Aboriginal youths.During our Josephite SA Reconciliation Circle headed by our Chairperson Kaurna/Narungga Elder visit to the State Minister for Aboriginal Affairs he admitted that there was no Gang of 49. There were some individual youths who were committing crimes During the 1980s I was a member of a group that was monitoring the behaviour of police to young Aboriginal people in the city. Exactly the same things happened as being reported now - any other main stream group of young people could gather in numbers; young Aboriginal people and even individuals would be immediately be approached by police.